Balder was built in Japan in 1978 by Mitsui Engineering & Shipbuilding Company Ltd., and is Hermod's sister vessel. Balder is 154 meters (505 feet) long and 86 meters (282 feet) wide. Its draft is currently 36 feet, but during our work we take in ballast water to increase the draft to 82 feet. This principle is known as semi-submersible. 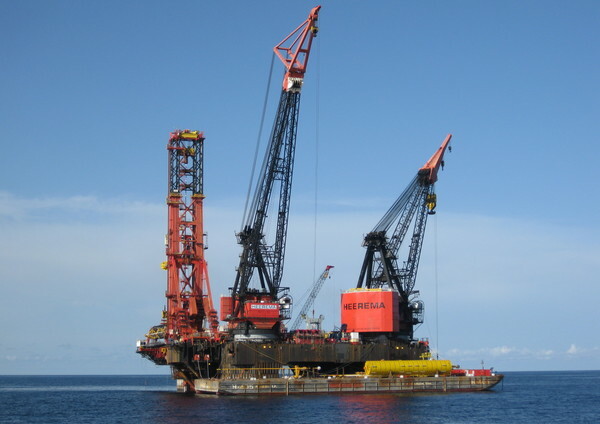 Deepwater Construction Vessel (DCV) Balder is capable of a tandem lift of 6,300 t (6,945 short tons). 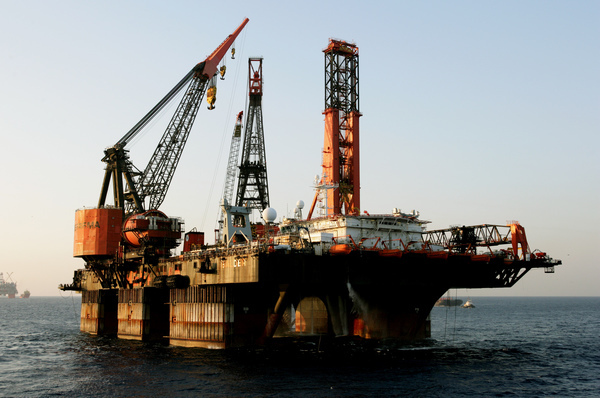 The cranes provide for a depth reach lowering capability as well as a heavy lift capacity to install topsides. This multi-functional dynamic positioned DCV is tailored for the installation of foundations, moorings, SPARs, TLPs, and integrated topsides, as well as pipelines and flowlines. DCV Balder was converted and commissioned in 2001/2002 and has successfully executed various projects since. The living quarters are equipped to accommodate 367 people. Additional quarters, installed in January 2007, provide accommodation for 392 people. All quarters have heating and air conditioning facilities. The helicopter deck is suitable for a Sikorsky 61-N.
Life-saving and fire-fighting equipment is in accordance with the latest governmental requirements. Propulsion by two electrically driven, controllable pitch propellers of 4,400 kW each in short nozzle. Seven thrusters of 3,500 kW Fixed Azimuth Thrusters Type LIPS FS3500-571/NU. Power supply by six diesel driven main generators of 2,765 kW each. The 6 DP Thrusters are supplied by six diesel driven generators of 4,000 kW (5,000kVA). Transit speed pending on loading condition maximum of 6.5 kn. 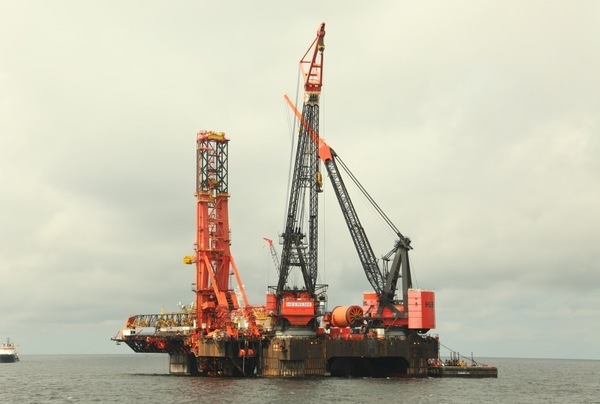 12 Delta Flipper anchors of 22.5 tons each, on wire ropes of 4,500 meters (15,000 ft) long. Minimum breaking strength 386 t.
MLD-winch system specifications are given separately. Lowering capacity of 4,000 crane auxiliary hoist: 400 st at 3000 m below water level at minimum radius. Subsea lowering capabilities are project specific engineered for the use of SB crane / A&R (Abandonment & Recovery) Winch and MLD (Mooring Line Deployment) Winch. Max. lifting height of 3000 crane main hoist: 116 m.
Max. lifting height of 4000 crane main hoist: 98 m.
Main hoist 6945 st at 33.5 meters (100 ft) radius. Static and dynamic ballast system both fully computer controlled. Ballast pump capacity 8,000 m³/hour. Dynamic ballast water handling 500 t/s. Single wall diameters of 4.5”–32”. Single wall pipe with buoyancy maximum diameter of 50”. Pipe-in-Pipe diameters of 6”–24”, outer pipe diameters of 10"-30". J-Lay Tower and A&R system specifications are given separately. 7 x 3,500 kW - 360 degrees azimuth, total thrust 385 t.
2 x 4,400 kW - propulsion units may also be used for DP purposes.